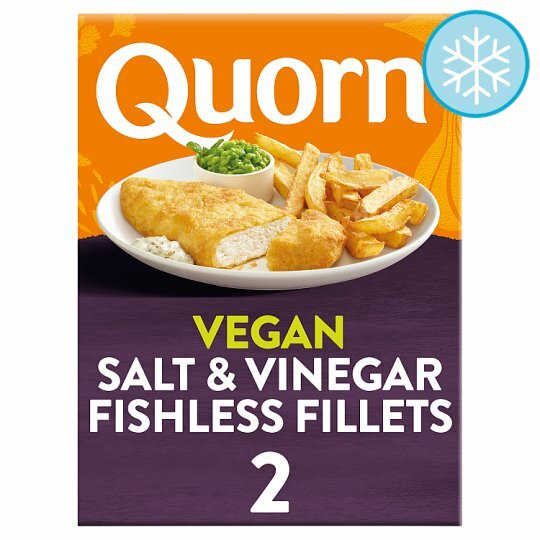 Quorn fishless fillets are coated in a delicious crisp batter. Perfect served up with chunky chips and mushy peas for a vegan treat. Quorn products contain mycoprotein, which is a nutritionally healthy because it's low in saturated fat. Mycoprotein is footprinted by the Carton Trust, so is less harsh on our planet's resources. Oven cook (From Frozen): Remove all packaging.